Pilar is CEO at TWBA Peru. 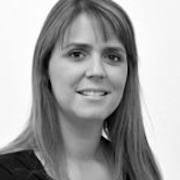 Pilar has managed various projects while working for TBWA and Interandina Bates. While with these companies she has developed multiple branding and global campaigns to boost their clients’ development. Many of these clients started as small businesses and turned into large companies achieving important market share. She has also opened new businesses, including OMD, Media Central and Media Ad Broker.